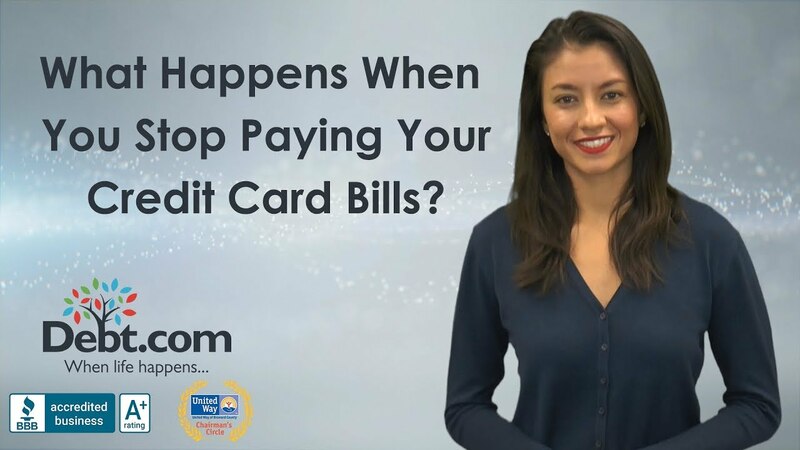 Debt.com » Credit Card Debt » What Happens If I Stop Paying My Credit Cards? Get ready for a slow descent into credit damage and financial distress. What happens when you stop paying your credit-card bills? With overall U.S. household debt increasing by 11% in the past decade – debt is a way of life for many Americans. While “don’t spend above your means” will always be sound advice, it can be difficult to put into practice since household debt keeps increasing while incomes just don’t keep up. The cost of living and the rapid growth in medical and housing costs is dwarfing income growth, making it challenging to meet obligations without leaning on credit cards and loans. But, if you are overwhelmed by credit card debt you may wonder what happens if you simply stop paying your credit card bills? Well, your minimum payments will increase because you have to make-up the payments you’ve missed plus late fees are added making your balances rise even faster. Your interest rates can increase to the penalty rate after your account becomes 60 days past due. Each month your minimum payment will get larger as more late payment fees are added to your balance. When the penalty rate kicks in, your finance charges will also increase. The result is that your outstanding balance and payments you need to catch up gets larger every month you’re late. It gets more expensive to catch up the more behind you are. Even after you catch up, the penalty rate will remain in effect until you’ve made six consecutive payments on time. After that, the interest rate must go down for your existing balance but can remain in effect for new purchases. If you have multiple credit cards with the same credit card company, those interest rates may increase, too. If you wind up in collections due to non-payment it will stay on your credit reports for seven years from the date the account originally became delinquent. Unpaid collections accounts may eventually land you in court — or at least with a court summons. Lawsuits for collection accounts are a common and efficient way for collection agencies to get payment. Never ignore a court summons about debt. These lawsuits can result in wage garnishment, a bank levy or a lien on your property. If you are struggling with debt we have solutions that can help you. Simply fill out our form or better yet, call us now, and we’ll match you with the best solution for your situation. We are A- plus rated by the better business bureau and have helped thousands of people become financially stable – and we can help you too. It’s one of the most common questions that credit specialists receive: What happens if I stop paying my credit cards? 99% of the people asking this question aren’t doing so because they just don’t feel like paying. It’s because they are facing some type of financial distress and want to know what they’re in for. Knowing can help reduce the stress of what you’ll face due to nonpayment. That being said, the faster you head off the problem and find a solution, the less you have to worry about what we list below. If nothing else, use this below as motivation for why it’s in your best interest to get help quickly at the first sign of trouble. What happens if I stop paying my credit cards for one month? Every month, your creditor asks for a minimum payment that’s a small percentage of the total balance you owe by a certain date. If you don’t make that payment on that date, you get assessed late fees and some penalties that are outlined in your credit card agreement. That can include penalty APR. This is a much higher interest rate than what you normally pay. So your debt costs you more every month. Penalty interest can be applied as long as the creditor wants until you make six consecutive payments on time. Then your normal rate gets restored. If you pay the amount owed late, but less than 30 days late, you avoid credit damage. But after 30 days of no payment received from the date your payment was due, the creditor then reports the missed payment to the credit bureaus. This means the late payment now officially shows up on your credit report as a “negative remark” – and it will remain as a blemish on your credit report for the next seven years. Missed payments are reported to the credit bureaus every 30 days. So it’s noted when your account is delinquent 30 days, 60 days, 90 days, and 120 days. Keep in mind your debt will continue growing even if you’re not making charges because interest and penalties will get tacked on every month. The creditor will be calling you and trying to get you to work something out and make a payment. Your gut instinct may be to dodge them, but that puts you at risk of being considered a lost cause. When that happens, your creditor writes you off – literally. The account gets moved to charge-off status. Your credit line is completely frozen and you won’t be able to make any charges on that account again. The creditor will send the debt to an internal collection department or they’ll sell it to a third-party collector. Good news: Your rights are now protected by the FDCPA. 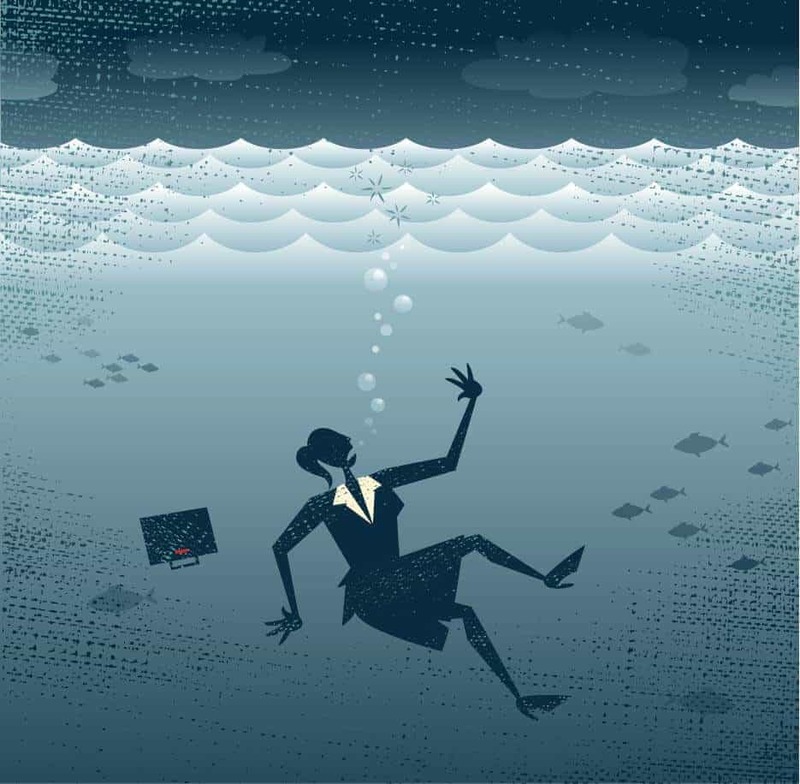 Bad news: Even legal debt collection is stressful and harrowing to go through. The best case scenario is your situation changes and you get the money together to either pay off the debt or generate enough money that you can make a successful settlement offer. If not, collectors can take any measures within the law to collect, including taking you to court. Fact: Debt settlement carries a 7-year credit score penalty starting from the date it was settled. This is the only way you can end up having your wages or tax refund garnished as a result of a credit card debt. What’s worse, the payments will usually be based on how much you owe instead of how much you have available to pay. As a result of this, people wind up in situations where they’re having half of each paycheck garnished for debt repayment. It can be an almost impossible situation to maintain. Bankruptcy will always discharge credit card debt, so you can always file for bankruptcy. In rare cases, you can hide long enough (15 years) while debt buyers purchase, attempt to collect, and resell your debt that the statute of limitations runs out and the debt can no longer be collected. But in the meantime, that’s a lot of collection call hassle and potential embarrassment you can face for a debt in collections. Does a permanent disability result in forgiven credit card debt? Unfortunately, disability status has no effect on credit card debt. Total and permanent disability (TPD) discharge is only available for federal student loan debt and/or Teacher Education Assistance for College and Higher Education (TEACH) Grant service obligation. Read more about TPD discharge on https://studentaid.ed.gov/. Article last modified on April 23, 2019. Published by Debt.com, LLC . Mobile users may also access the AMP Version: What Happens If I Stop Paying My Credit Cards? - AMP.